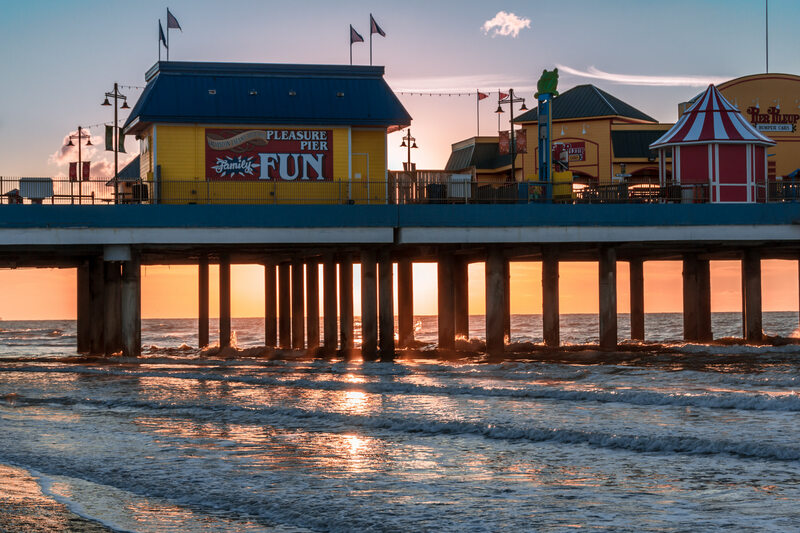 The sun rises over the Gulf of Mexico behind Galveston, Texas’ Pleasure Pier. 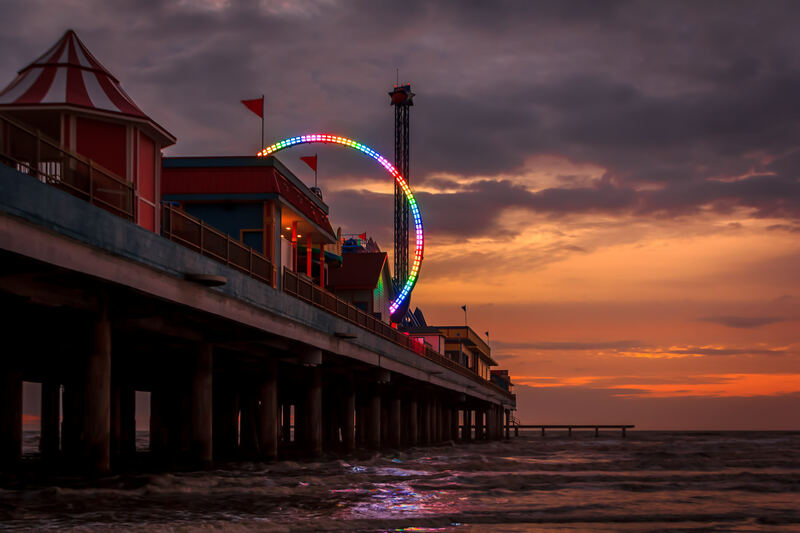 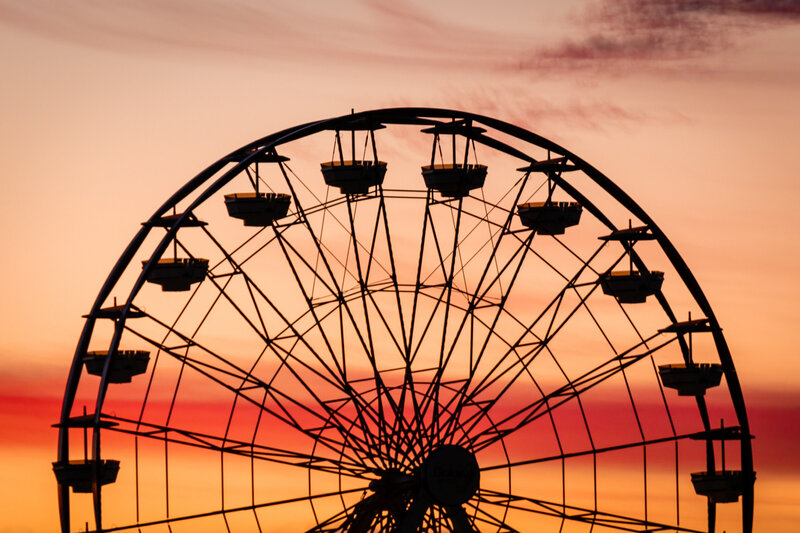 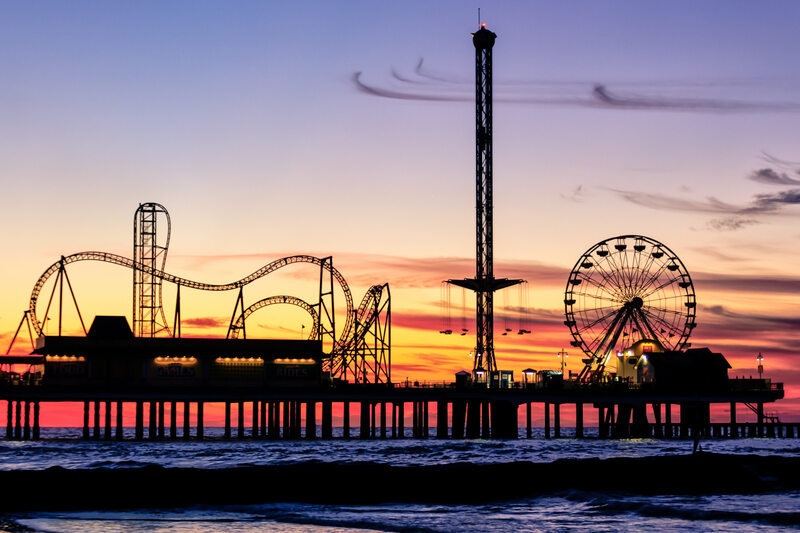 The rainbow-colored lights of a thrill ride on Galveston, Texas’ Pleasure Pier pierce the dawn’s twilight. 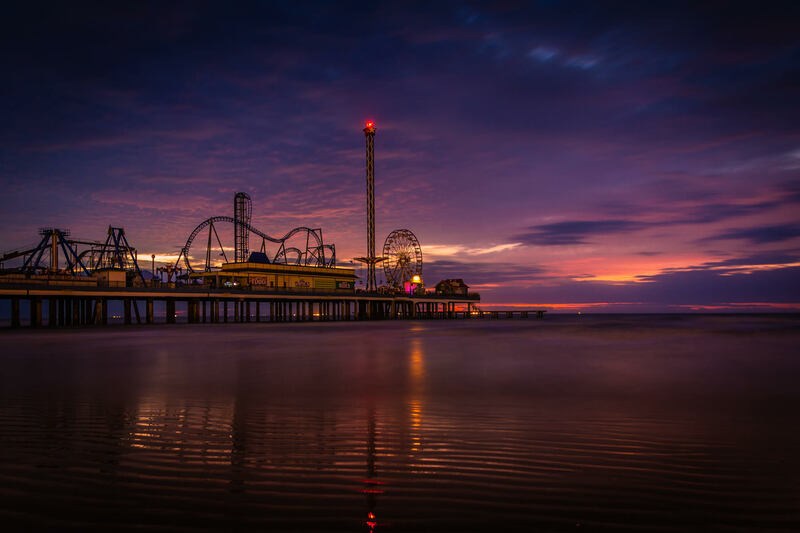 Galveston, Texas’ Historic Pleasure Pier, silhouetted by the sunrise. 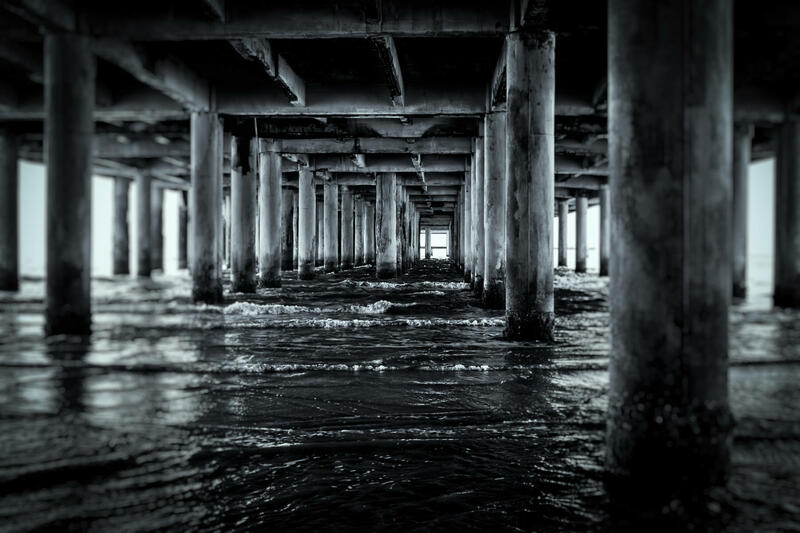 Surf of the Gulf of Mexico laps at pilings under the decaying Flagship Hotel, Galveston, Texas. 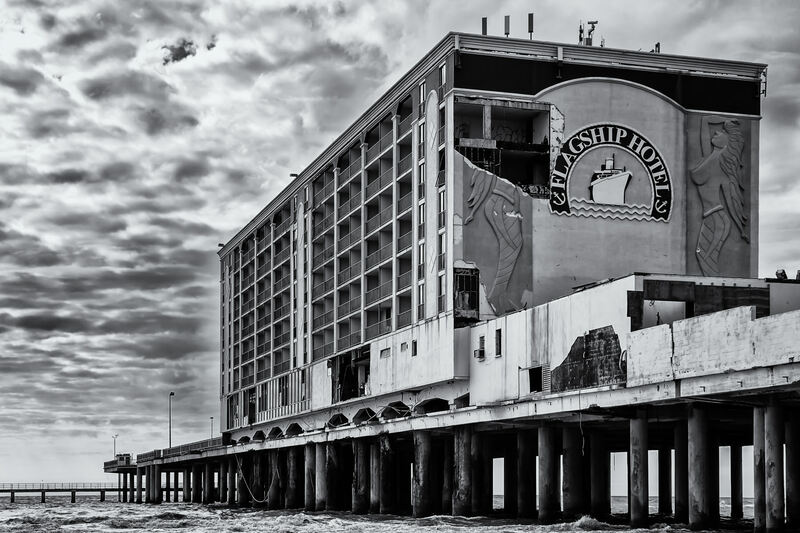 The Flagship Hotel, built on a pier extending from Galveston’s Seawall Boulevard out into the Gulf of Mexico, sits damaged and abandoned in the aftermath of Hurricane Ike.